Ultrarunners are always looking for ways to improve. We strive to improve our time over a certain distance, improve our strength, improve how we recover, and improve our flexibility (well, maybe not all of us). But do we look at our sleep for improving our performance? Many of us work hard Monday to Friday, often putting in irregular hours or doing shift work. We may want to ‘catch up for lost sleep’ on the weekend, but instead, we skip the chance to ‘sleep in’ on Saturday or Sunday so we can get an early start on our long runs in the hope we can spend more time with family and friends later in the day. Today’s ultrarunners often don’t fit the typical profile of full-time athlete. Instead, we come from a wide variety of backgrounds and professions which demand that we fit our running into an already-packed schedule that includes actively managing family life, social interests, business obligations, and exercise, whilst armed with a laptop, smart phone, and a cup of coffee. And with so much to do every day, the first thing that is often sacrificed is sleep. But is this a good idea if peak running performance is the goal? Research in the sleep-science field suggests that maybe it isn’t. In fact, the growing body of research coming out of a number of reputable universities around the world says sleep is a lot more important than previously thought. Let’s take a look at a few areas where we now know about the relationship between human performance and sleep. Start times vary quite a bit depending on where the race occurs, how long it is, and how many runners are expected, and the body responds to these timing differences in several ways. To understand the effect of different race start times we must first think about circadian rhythms. Circadian rhythms occur within every human. Circadian is derived from the Latin word ‘circa’ meaning ‘about,’ and ‘dia’ meaning ‘day.’ Circadian rhythms happen over a 24-hour period, and they affect a lot of different body functions like temperature, hormone levels, energy, and appetite. For example, as we wake in the morning, between 06:00-09:00, cortisol and body temperature increase. Then, in the afternoon, between 13:00-15:00, there is a circadian dip often referred to as the post-lunch dip. This may explain why we often find it difficult to concentrate at work after lunch, and this difficulty explains some of the afternoon safety and quality issues in workplaces. Siesta in Latin cultures is designed to allow people to relax during this low point and also to avoid midday high temperatures, but the siesta is rapidly becoming a thing of the past in today’s busy world. Another result of the circadian rhythm occurs in the evening, between 17:00-20:00, when we go through a phase called the ‘forbidden zone.’ This is a time when we find it most difficult to sleep and generally when we show our greatest cardiovascular efficiency and muscular strength. This may explain why some days when we are at work, all we can think about is getting home to sleep because we are so tired, but when we get home we get a ‘second wind’ and become energetic and awake. It also explains why if you’ve ever tried to go to sleep earlier than usual at night to prepare for an early-morning wakeup the next day, you instead find yourself just lying in bed staring at the ceiling for two hours. So, in today’s world, this forbidden zone seems to cause us nothing but trouble, but there are reasons it exists. Some researchers in the anthropology field believe that the forbidden zone may be part of the planet’s natural cycle, and that humans evolved this way so that they could be hyper-alert to the dangers posed by predators that came out at night to hunt. The start times of some of today’s races actually take advantage of this forbidden zone. An example is the Ultra-Trail du Mount-Blanc (UTMB) run which starts in France at approximately 16:30 when some 2,300 people take off to complete the 166-kilometer mountain run through three countries. But while it might be good to start a race or train for a race in the late afternoon/early evening, early-morning start times can spell trouble. Between the hours of 02:00-06:00 we experience a circadian low which is fine most of the time since we’re asleep. Unfortunately, as ultrarunners we often have to wake-up during this time to get our training runs in or to start a race. During this circadian low point, we find it extremely difficult to stay awake as anyone who works shift work can tell you. This is the time during which drowsiness, sore eyes, yawning, inattention, low energy, and perhaps even micro-sleeps commonly occur, and all of these problems of course make early race starts difficult also. For those who have stepped on the start line at Leadville at 04:00, you most probably struggled through a 2 a.m. wake-up or you might have even skipped pre-race sleep altogether due to nerves. Whether you are waking up at this low circadian point or trying to stay awake while running a long race that started the previous day, the period from 02:00-06:00 is a problem. This is the time when we start getting cold because this is when we experience our lowest core body temperature. Our decision making is affected as we have most likely been awake in excess of 12 hours and maybe up to 24 hours. Our ability to rationalize and stay on track becomes increasingly difficult. Thoughts and feelings of self-doubt increase, DNF at the next checkpoint creeps into the words we speak. 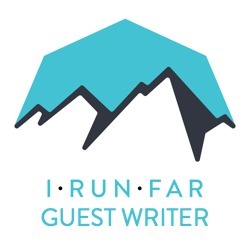 Author’s Note: (Ian) I myself was a victim of this in 2012 at Leadville with a DNF at the last checkpoint (May Queen at 88 miles) just before sunrise. In 2013, I avenged this DNF with a finish at Leadville. Contrary to common belief or hearsay, you cannot force your body to be awake and effective during this time, and while it is possible to adjust your circadian rhythms, it is a slow process that takes many days and concerted effort. It’s also important to know that even people who learn science-based techniques to readjust their rhythms can experience short or long-term health issues such as gastrointestinal distress, heart disease, increased body weight, and diabetes due to consistent disruptions to the body’s internal clock and constant bouts of sleep restriction or sleep disturbances. On average, people need seven to nine hours of sleep per night, and failure to get this amount has many negative effects. So what can we do in advance or prior to a race to minimize all of this? Sleep is like the fuel in a fuel tank–what you take out must be replaced. Just like with our diets, we measure calories in/calories out over a day to maintain a consistent energy balance. Sleep is no different. If you do not fill up your sleep tank or reservoir, you decrease your probability of success and increase your probability of failure and increase personal risk because you are running out of ‘fuel.’ In our running, insufficient sleep leads to a decrease in energy levels, poor training runs, or poor times across distances when we know we can do better. At home we may have trouble staying awake, or we might nod off easily when watching a movie or TV with our family or friends because we’re not refilling our sleep tank enough every day. In some cases this chronic sleep loss even causes depressed feelings, mood swings, and irritability. In his book Running with the Kenyans, Adharanand Finn identifies an interesting aspect of Kenyan culture and running training that is not practiced well with most people—GETTING ENOUGH SLEEP! Finn says that the Kenyans sleep up to 14 hours a day whilst training. Evidently, they get the point that sleep is vital for physical and mental recovery and the release of growth hormones (which are important for muscle building and recovery). In other recent reports about the importance of sleep and athletic performance, scientists have found support for the Kenyan sleep habits. Cheri Mah at Stanford University in the U.S. has conducted several studies on collegiate players. She found that extra sleep had a significant impact on the speed and performance of swimmers and basketball players. Exercise is important to help your body adjust to the local time zone. This will help to revitalize when you arrive and reset your body clock. You should exercise during daylight hours, particularly in the early hours of the day for at least 30 minutes. Avoid alcohol as a solution to sleep problems because although it may help you to get off to sleep, you will not sleep as well during the night. Minimize continuous use of sleeping tablets since they can become a habit, giving you more problems than temporary jet lag especially if they are taken at the wrong time. Melatonin may help to re-set your body clock. If you elect to use melatonin, take it just before your planned sleep time. For short trips, stay on home time. If you are away from home for a only a day or two, try to eat when you would usually eat at home, try to sleep when you would usually sleep at home, and try to not go outside and get sunlight exposure during times when it is dark at home. For longer trips, change your schedule as soon as possible, if you are away for more than two or three days, start using the time at your destination as soon as possible (even before leaving home). Change your watch on the flight. Try to eat and sleep on the plane at times when you would eat and sleep at your destination. The earlier you start, the easier it will be. After arriving in the new time zone, try to avoid any sleep before the new local bedtime so that you can more easily sleep during the night. Force yourself to wake up at the normal local wake-up time, and go outside to get sunlight exposure. So How Does Altitude Affect Your Sleep and Your Performance? One of the earliest studies on the effects of altitude took place in 1970 in the Antarctic whereby elevation and barometric pressure results in an environment with an altitude of 5,000 meters/16,404 feet. Other strategies include to ‘Live High and Train Low.’ This is whereby an individual will sleep at 3,000 meters/9,842 feet by way of actual location or by means of an altitude-simulation tent. Then during the day the individual will train at low levels. However, it must be noted that there are a large number of individual differences. At altitude you will dehydrate more rapidly. In some cases there can be pharmacologic type interventions that will assist such as benzodiazepines and acetazolamide used for sleep disturbances at altitude, a medical doctor should be consulted prior to taking these medications. If despite all of your efforts to get plenty of sleep and schedule your wake-up, training, and racing times optimally, you still are not as alert as you need to be, you can rely on caffeine for a temporary energy burst. Research shows that it is safe to consume up to 800 to 1000 milligrams of caffeine per day in individual doses of about 50 to 200 mg each. A standard cup of brewed coffee contains about 100 mg of caffeine, and a cola contains about 40 mg of caffeine. These are good options to start, but if larger, faster-acting doses are needed, try caffeine gum (usually 40 mg per piece) or caffeine tablets (usually 100 mg each). Caffeine is very rapidly absorbed from caffeine gum. Caffeine takes about an hour to start working, and the effects last about four hours, so don’t consume caffeine too close to bedtime. Also, keep in mind that while caffeine is a temporary way to overcome drowsiness from sleep loss or low points in the circadian rhythm, caffeine is not a substitute for sleep and large doses can cause stomach problems, heart problems, trembling muscles, and nausea. Caffeine should be used in moderation and only when needed most since chronic consumption of caffeine will make it less effective for those times when a caffeine boost is needed the most. Have a regular sleep pattern. Try to go to bed at the same time every evening, and wake up at the same time every day. Schedule time into your life to get seven to nine hours per night of sleep. Do it just like you schedule training runs, races, and meetings. Avoid TV, smart phones, laptops, and work for at least 60 minutes before sleeping, and get the ‘technology’ out of your bedroom. Try reading a novel or listening to relaxing music to help you sleep. Studies show this can be just as effective as a sleeping tablet. Use your bed for sleep and intimacy only—working on the computer, talking on the phone, or checking your smartphone for messages once in bed is a bad sleep habit. Make your bedroom comfortable and, if possible, keep the room dark and cool (64 to 74 Fahrenheit/18 to 23 Celcius) to promote a good sleeping environment. Consider using an eye mask and ear plugs. Don’t lay awake thinking and watching the clock. If you can’t sleep, try getting up and reading or writing but avoid TV, computers, and the like. If you consistently have issues sleeping, consult a sleep physician or consult your general practitioner because you might have an undetected sleep disorder. Avoid waking up or scheduling training runs before 05:30, especially if you can’t reliably get to bed early the previous night. If you are time poor, consider running to work. Use lunch breaks to catch up on kilometers. Consider cross training to improve performance. Avoid caffeine, alcohol, and cigarettes for at least three hours before bed. In conclusion, sleep must be actively managed like other aspects of health and well-being. Sleep well, eat right, and run hard! Ian Dunican is the Director of Sleep4Performance working with athletes to maximize performance. He is an ultramarathon runner and a Jiu Jitsu student in Perth, Western Australia. You can contact Ian at: sleep4performance@gmail.com or keep up to date on his sleep4performance Facebook page. John Caldwell, PhD is the Science Adviser for Clockwork Research, Ltd in London where he serves as an internationally recognized expert in sleep and performance enhancement. He has published numerous papers and book chapters, and he has delivered more than 100 presentations and workshops designed to help people optimise their performance in real-world settings. When has sleep (or a lack thereof) negatively effected your running, both in a single outing and more long term? Have you ever made a conscious choice to sleep more to benefit your training? If so, why? How’d it work out? What do you do to get a better night’s sleep? Any secrets for dealing with early-morning race times? Very interesting article. I am surprised it also doesn't incorporate in timing of dinner/food. It is best to have at least 2 hours to digest all food as well. Well mentioned on the alcohol part as that is also a key. Really if there is any alcohol in ones body they won't sleep as well. I don't know, but could the eating timing thing be an old wives' tale? For years I was super strict about eating nothing 2 hours before sleep time. Now, with a change in schedule, I will eat right before bed. Sometimes pretty heavy food. It hasn't affected my sleep at all as far as I can tell. Having kids wrecks havoc on your sleep pattern and trying to plan for that morning run. "Oh you want to wake up at 5 and go running daddy? Great, I want to get up too, cry and not want to go back to sleep"
You are right ,children and sleep may be a significant factor for athletes ,shiftworkers and the general public. So, does this lend any weight to attempting to do our runs between 17:00-20:00 since we are at our 'greatest cardiovascular efficiency and muscular strength'? I've always had my best training runs early in the morning as opposed to in the early evening. It does ,however there are owls and larks or morning people and evening people.If you feel better running in the morning and your recovery is good ,then keep going.maybe by running an experiment and changing up your training you could test the effectiveness of each time. I have sleep apnea and have to sleep with a CPAP. Having a sleep disorder has made me really sleep aware!! I think it also gives me an edge during long events because I had learned to function while sleep deprived before my diagnosis (I was so deprived that my vision actually changed when I got my CPAP!)! Since then, I've run for 3 days (twice) at Pigtails Challenge 200! The first year, I managed to make it about 60 hours before I needed to take 20 minute disco naps to keep moving… The second, I took longer naps, starting the first night. To be honest, my energy level was about the same both years!! One trick I've found that works really well for events over 24 hours is to "sleep load" going into the race! Right now, I try to stay in bed for 10-14 hours a day leading up to HURT 100 in ~5 weeks! Sure, I have to juggle a little with my schedule to make this happen but toeing the line well rested makes skipping a few events or spending one less hour on facebook worth it!!! I'm sure this is something a lot of people experience but I'm curious how many and if anyone knows the how or why: After longer (24+hour) events, I find that I have weird energy cycles for almost a day or even more. At first, I'm too exhausted to do anything but sleep! This only lasts for roughly three hours! After that, I'm wide awake and full of energy for about three hours!! This cycle repeats through most of the first day post event!! Does anyone else have experience with this?!? Regarding your second paragraph, I'm merely a lay person, but all of your stress hormones are completely jacked after looong ultras. Hunger, temperature regulate, sleep, and more are affected. I wasn't able to sign on using facebook… Not sure if it's something on my end or something you should know about! I once read that our sleep cycle works on a 90 minute cycle. So we should sleep for either, 3 hours, 4 1/2, 6, 7 1/2, 9 hrs and so on. I have noticed I naturally awake at the 7 1/2 hour mark. It I awake earlier or later, I am groggy. Has any one tried or heard of this? From time to time, I've used the smartphone ap Sleep Cycle that wakes you at the ideal (or close to) time in a given sleep cycle based on your activity. Yes this is true ,follow the link for some easy info on sleep cycles. Please be aware of the sleep cycle app ,it is not scientifically validated and is not really recommended to make decisions about sleep. As far as jet-lag goes, there are definitely some techniques to get rapidly adjusted and it varies based on which direction (east or west) you’ve traveled. Generally US to Europe flights arrive in the morning – you want to go straight to sleep as soon as you arrive for 3-4 hours, no more. Then go to sleep that night at a normal time. Westbound from Europe to the US, or US to Asia, stay awake once you’ve arrived and go to sleep that night noramlly. Most people wake in the middle of the night for the 1st one or two nights. Reading for an hour can help you fall back to sleep. Last week I traveled from the east coast to the west coast for a job interview which lasted four days in total. On Monday my flights kept getting delayed and I eventually slept from 3:30 am to 5:45 am. Wednesday night I got six hours of sleep. I was freaking out cause I needed good sleep for Hellgate's Saturday 12:01am start time. Ended up having the best race I've had…on fumes and adrenaline and not enough sleep the week before. I typically sleep 8.5hrs a night. Short little anecdote on how lack of sleep probably helped me. I've found that as long as I am generally getting proper sleep, I can absorb an isolated (single) event of little or no sleep one night without any ill effect, back to normal the next night. However, cumulative sleep debt starts to take its toll. I've also found a solution that works for me for jet lag. Most of my long international flights have arrived during the night (local time) such that I get to the hotel late at night or wee hours of morning (again, local time). I pass out upon arrival, which usually only lasts a few hours and then get up and start the first day on local time and don't look back…ta da, instant adjustment. Of course, for this to work, prior sleep habits must be adequate per my first paragraph. Also, my travel experiences have been to Asia and South America from Western North America, so there are large time zone differentials in a westerly direction, but only slight differentials in an easterly direction. I do have a tougher time adjusting back to Pacific time upon return from Asia. Thanks for taking the time to read the article ,hope you all liked it . Thanks again and happy RUNNING !!!! !